This manual supersedes the May 1987 edition in its entirety and all other towing manuals. Various towing manuals have attempted to go beyond the cookbook type approach of providing detailed information for accomplishing one or at most a few specific kinds of towing missions. 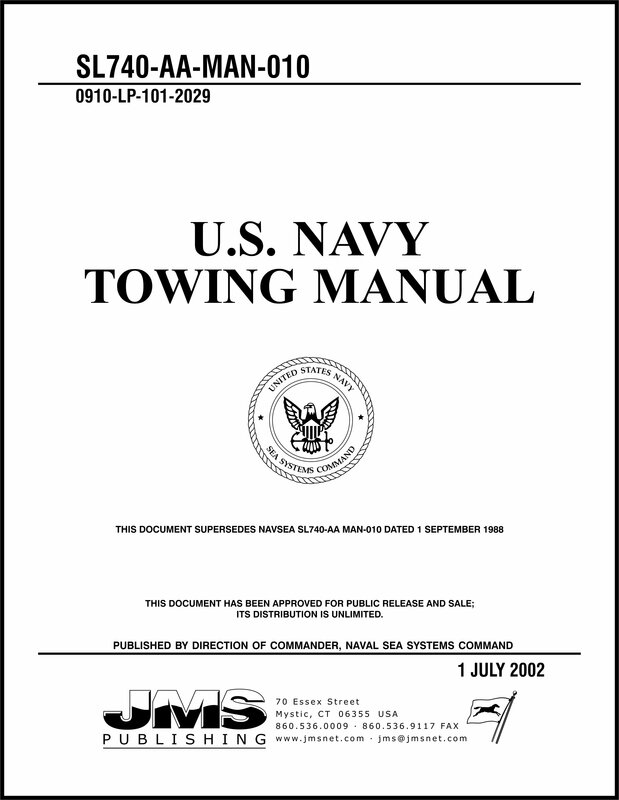 This manual includes the full spectrum of Navy towing and provides the user an improved feel for the logic behind the recommendations and guidance. This manual completes previously incomplete appendices by providing more consistent format and graphics work and by including the results of recent R&D efforts to estimate peak towline loads in varying sea states.